Product prices and availability are accurate as of 2019-04-18 21:39:06 UTC and are subject to change. Any price and availability information displayed on http://www.amazon.com/ at the time of purchase will apply to the purchase of this product. Author Bookstand is proud to offer Musings from My Heartstrings: (a Poetic/Spiritual Commentary on Life) by Bookstand Publishing. 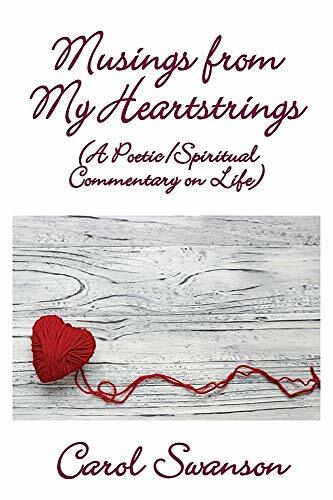 Musings from My Heartstrings: (a Poetic/Spiritual Commentary on Life) has generated a lot of interest and excitement and we think it would be an excellent addition to your library. Carol Swanson lives in a retirement community in Roseville, California. She attended San Jose State College and spent over 30 years in her career with government work for the County of Santa Clara. Carol enjoys many happy memories of her life, but also is well aware of the sad times and all the challenges that presented themselves. She retired at the young age of fifty-six because her mother was diagnosed with the early signs of mixed dementia/ Alzheimer's. Carol, an only child, never married. Her Dad passed away from lung cancer when she was 42 years of age, and she stepped up to the plate to become her Mom's sole caretaker without any outside help during the nine-year journey through the dementia cycle. It was during the sad times that Carol learned to rely on the one true source of strength in her life...her faith in a loving and steadfast God. She learned to find God everywhere He might be found in life...in the comfort of nature, the friendships of others, the satisfaction of a job well done, beauty, the discovery of new places and peoples through travel, and especially in the sad and confusing times. Her spirituality has brought her successfully to this time in her life, and she is honored to be able to share her spiritual strength with you.